Fjärilar och Zebror: I (finally) left the house as a girl! Yay yay yay!! I (finally) left the house as a girl! Yay yay yay!! One of my roommates was home when I left. I'm sort of in a glass closet to my roommates: I haven't "officially" come out to them, but I make very little effort to hide who I am and I suspect they kind of know already. Nonetheless, I've decided I don't want them to see me as a girl until I've had a chance to explain why I crossdress and make sure they're comfortable with it. Thus, in order to get from my room to the outdoors I had to do a bit of sneaking. Just to be on the safe side, I left the house in my boy shoes, climbed into my car, put on my girl shoes in there, then got out and went for the walk. Kind of a silly extra step, but whatever. I only really got nervous once. There was someone behind me and I wanted to stop to think about which way to go, but was afraid of them catching up to me. Instead I just kept walking. Overall the experience was very liberating: being out as my female self, doing something in the real world. The closet, even a glass one, gets pretty stuffy after a while. Not unusually for a winter in Alberta, it was a chilly -11° C out. The cold compelled me homeward sooner than I might have liked. Anyways, let's hope this is the first of many such outings! Congratulations Ashley! 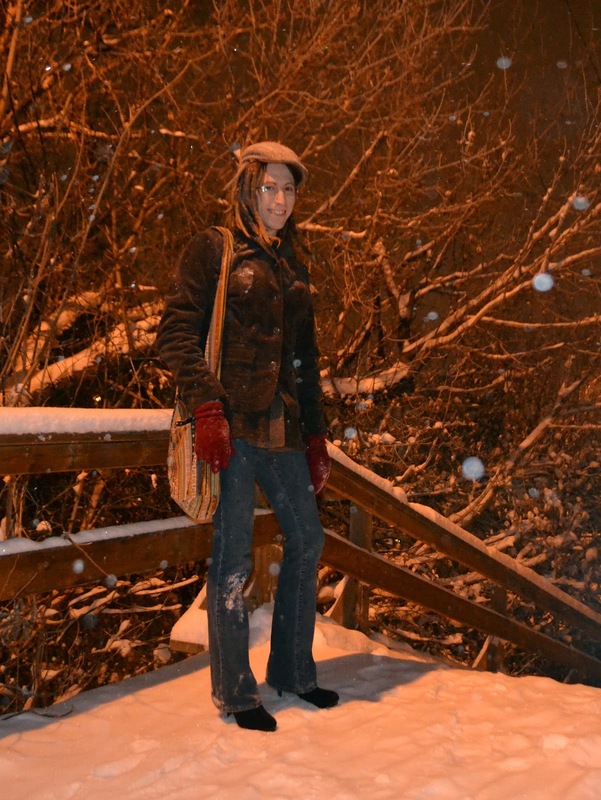 From my experience, and from others I follow, the feeling of confidence and the affirmation of identity really comes to the forefront when stepping out into the world, even if it is a cold winters night. It's great to hear that you're opening that door and letting the fresh air into your life. Have fun shopping for some more appropriate foot ware.